Certain animals and plants make use of a unique micro- or nano-scale structure on their (skin) surface to collect water from the air for them to survive under harsh conditions. 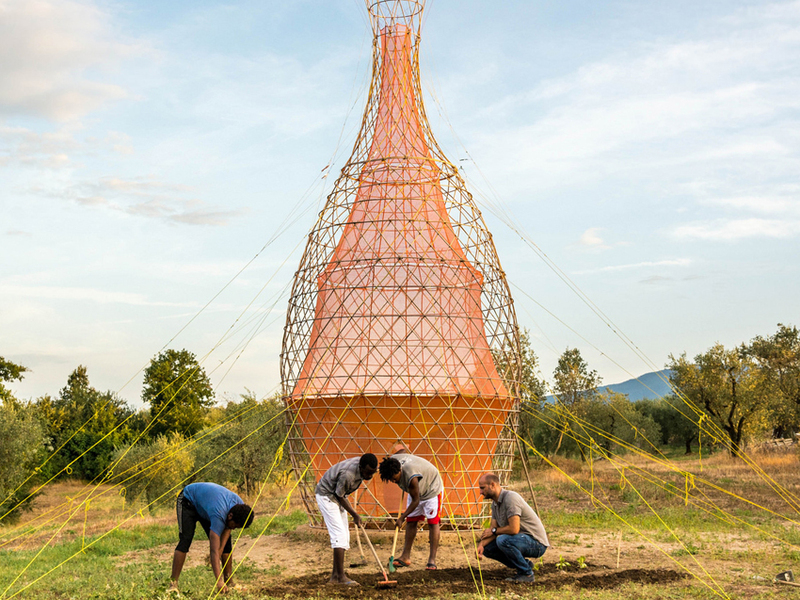 Inspired by these examples from nature such as spider web threads, lotus flower leaves, fog collection by cacti and the Namib beetle’s shell, the Warka water structure was designed to collect and harvest potable water from the air. It serves as an alternative water source in areas that face challenges accessing drinkable water.